Stay connected while cruising the streets of Bradenton when you choose a high-tech new Chevy Cruze from Cox Chevrolet. $3,787 off MSRP! Priced below KBB Fair Purchase Price! This 2019 Chevrolet Cruze LS in Summit White is well equipped with: 1.4L 4-Cylinder Turbo DOHC CVVT, 16" Aluminum Wheels, 2 Front USB Ports, Cruise Control, Emergency communication system: OnStar and Chevrolet connected services capable, Exterior Parking Camera Rear, LS Convenience Package, Power Electric Rack-Mounted Steering, Remote Vehicle Starter System, Steering Wheel Controls. 28/38 City/Highway MPG Included 2 Year Complimentary Basic Maintenance / In Business Over 90 years / Call 1-888-844-3454 For Details. %Off Offer includes price reduction below MSRP and Cash Allowance. On Select 2019 Chevrolet Vehicles. Not available with special finance, lease or other offers. Take new retail delivery by 04/30/19. GMF Down Payment Assistance. Cash usable only if financed through a supported or unsupported GMF contract. NOT Compatible with Standalone APR Program. Customer must qualify and finance with GM Financial. See participating dealer for details. %Off Offer includes price reduction below MSRP and Cash Allowance. On Select 2019 Chevrolet Vehicles. Not available with special finance, lease or other offers. Take new retail delivery by 04/30/19. GMF Down Payment Assistance. Cash usable only if financed through a supported or unsupported GMF contract. NOT Compatible with Standalone APR Program. Customer must qualify and finance with GM Financial. See participating dealer for details. $3,745 off MSRP! Priced below KBB Fair Purchase Price! This 2019 Chevrolet Cruze LS in Summit White is well equipped with: 1.4L 4-Cylinder Turbo DOHC CVVT, 16" Aluminum Wheels, 2 Front USB Ports, Cruise Control, LS Convenience Package, Power Electric Rack-Mounted Steering, Remote Vehicle Starter System, Steering Wheel Controls. 28/38 City/Highway MPG Included 2 Year Complimentary Basic Maintenance / In Business Over 90 years / Call 1-888-844-3454 For Details. %Off Offer includes price reduction below MSRP and Cash Allowance. On Select 2019 Chevrolet Vehicles. Not available with special finance, lease or other offers. Take new retail delivery by 04/30/19. GMF Down Payment Assistance. Cash usable only if financed through a supported or unsupported GMF contract. NOT Compatible with Standalone APR Program. Customer must qualify and finance with GM Financial. See participating dealer for details. %Off Offer includes price reduction below MSRP and Cash Allowance. On Select 2019 Chevrolet Vehicles. Not available with special finance, lease or other offers. Take new retail delivery by 04/30/19. GMF Down Payment Assistance. Cash usable only if financed through a supported or unsupported GMF contract. NOT Compatible with Standalone APR Program. Customer must qualify and finance with GM Financial. See participating dealer for details. $3,745 off MSRP! Priced below KBB Fair Purchase Price! This 2019 Chevrolet Cruze LS in Silver Ice Metallic is well equipped with: 1.4L 4-Cylinder Turbo DOHC CVVT, 16" Aluminum Wheels, 2 Front USB Ports, Cruise Control, Emergency communication system: OnStar and Chevrolet connected services capable, LS Convenience Package, Power Electric Rack-Mounted Steering, Radio: Chevrolet Infotainment 3 System, Remote Vehicle Starter System, Steering Wheel Controls. 28/38 City/Highway MPG Included 2 Year Complimentary Basic Maintenance / In Business Over 90 years / Call 1-888-844-3454 For Details. %Off Offer includes price reduction below MSRP and Cash Allowance. On Select 2019 Chevrolet Vehicles. Not available with special finance, lease or other offers. Take new retail delivery by 04/30/19. GMF Down Payment Assistance. Cash usable only if financed through a supported or unsupported GMF contract. NOT Compatible with Standalone APR Program. Customer must qualify and finance with GM Financial. See participating dealer for details. %Off Offer includes price reduction below MSRP and Cash Allowance. On Select 2019 Chevrolet Vehicles. Not available with special finance, lease or other offers. Take new retail delivery by 04/30/19. GMF Down Payment Assistance. Cash usable only if financed through a supported or unsupported GMF contract. NOT Compatible with Standalone APR Program. Customer must qualify and finance with GM Financial. See participating dealer for details. $3,745 off MSRP! Priced below KBB Fair Purchase Price! This 2019 Chevrolet Cruze LS in Silver Ice Metallic is well equipped with: 1.4L 4-Cylinder Turbo DOHC CVVT, 16" Aluminum Wheels, Cruise Control, Emergency communication system: OnStar and Chevrolet connected services capable, Exterior Parking Camera Rear, LS Convenience Package, Power Electric Rack-Mounted Steering, Remote Vehicle Starter System, Steering Wheel Controls. 28/38 City/Highway MPG Included 2 Year Complimentary Basic Maintenance / In Business Over 90 years / Call 1-888-844-3454 For Details. %Off Offer includes price reduction below MSRP and Cash Allowance. On Select 2019 Chevrolet Vehicles. Not available with special finance, lease or other offers. Take new retail delivery by 04/30/19. GMF Down Payment Assistance. Cash usable only if financed through a supported or unsupported GMF contract. NOT Compatible with Standalone APR Program. Customer must qualify and finance with GM Financial. See participating dealer for details. %Off Offer includes price reduction below MSRP and Cash Allowance. On Select 2019 Chevrolet Vehicles. Not available with special finance, lease or other offers. Take new retail delivery by 04/30/19. GMF Down Payment Assistance. Cash usable only if financed through a supported or unsupported GMF contract. NOT Compatible with Standalone APR Program. Customer must qualify and finance with GM Financial. See participating dealer for details. $3,745 off MSRP! Priced below KBB Fair Purchase Price! This 2019 Chevrolet Cruze LS in Mosaic Black Metallic is well equipped with: 1.4L 4-Cylinder Turbo DOHC CVVT, 16" Aluminum Wheels, 2 Front USB Ports, Cruise Control, Emergency communication system: OnStar and Chevrolet connected services capable, Exterior Parking Camera Rear, LS Convenience Package, Power Electric Rack-Mounted Steering, Remote Vehicle Starter System, Steering Wheel Controls. 28/38 City/Highway MPG Included 2 Year Complimentary Basic Maintenance / In Business Over 90 years / Call 1-888-844-3454 For Details. %Off Offer includes price reduction below MSRP and Cash Allowance. On Select 2019 Chevrolet Vehicles. Not available with special finance, lease or other offers. Take new retail delivery by 04/30/19. GMF Down Payment Assistance. Cash usable only if financed through a supported or unsupported GMF contract. NOT Compatible with Standalone APR Program. Customer must qualify and finance with GM Financial. See participating dealer for details. %Off Offer includes price reduction below MSRP and Cash Allowance. On Select 2019 Chevrolet Vehicles. Not available with special finance, lease or other offers. Take new retail delivery by 04/30/19. GMF Down Payment Assistance. Cash usable only if financed through a supported or unsupported GMF contract. NOT Compatible with Standalone APR Program. Customer must qualify and finance with GM Financial. See participating dealer for details. $3,745 off MSRP! Priced below KBB Fair Purchase Price! This 2019 Chevrolet Cruze LS in Silver Ice Metallic is well equipped with: 1.4L 4-Cylinder Turbo DOHC CVVT, 16" Aluminum Wheels, 2 Front USB Ports, Cruise Control, Emergency communication system: OnStar and Chevrolet connected services capable, Exterior Parking Camera Rear, LS Convenience Package, Power Electric Rack-Mounted Steering, Remote Vehicle Starter System, Steering Wheel Controls. 28/38 City/Highway MPG Included 2 Year Complimentary Basic Maintenance / In Business Over 90 years / Call 1-888-844-3454 For Details. %Off Offer includes price reduction below MSRP and Cash Allowance. On Select 2019 Chevrolet Vehicles. Not available with special finance, lease or other offers. Take new retail delivery by 04/30/19. GMF Down Payment Assistance. Cash usable only if financed through a supported or unsupported GMF contract. NOT Compatible with Standalone APR Program. Customer must qualify and finance with GM Financial. See participating dealer for details. %Off Offer includes price reduction below MSRP and Cash Allowance. On Select 2019 Chevrolet Vehicles. Not available with special finance, lease or other offers. Take new retail delivery by 04/30/19. GMF Down Payment Assistance. Cash usable only if financed through a supported or unsupported GMF contract. NOT Compatible with Standalone APR Program. Customer must qualify and finance with GM Financial. See participating dealer for details. $3,745 off MSRP! Priced below KBB Fair Purchase Price! This 2019 Chevrolet Cruze LS in Summit White is well equipped with: 1.4L 4-Cylinder Turbo DOHC CVVT, 16" Aluminum Wheels, 2 Front USB Ports, Cruise Control, Emergency communication system: OnStar and Chevrolet connected services capable, Exterior Parking Camera Rear, LS Convenience Package, Power Electric Rack-Mounted Steering, Remote Vehicle Starter System, Steering Wheel Controls. 28/38 City/Highway MPG Included 2 Year Complimentary Basic Maintenance / In Business Over 90 years / Call 1-888-844-3454 For Details. %Off Offer includes price reduction below MSRP and Cash Allowance. On Select 2019 Chevrolet Vehicles. Not available with special finance, lease or other offers. Take new retail delivery by 04/30/19. GMF Down Payment Assistance. Cash usable only if financed through a supported or unsupported GMF contract. NOT Compatible with Standalone APR Program. Customer must qualify and finance with GM Financial. See participating dealer for details. %Off Offer includes price reduction below MSRP and Cash Allowance. On Select 2019 Chevrolet Vehicles. Not available with special finance, lease or other offers. Take new retail delivery by 04/30/19. GMF Down Payment Assistance. Cash usable only if financed through a supported or unsupported GMF contract. NOT Compatible with Standalone APR Program. Customer must qualify and finance with GM Financial. See participating dealer for details. $3,745 off MSRP! Priced below KBB Fair Purchase Price! This 2019 Chevrolet Cruze LS in Black Metallic is well equipped with: 1.4L 4-Cylinder Turbo DOHC CVVT, 16" Aluminum Wheels, 2 Front USB Ports, Cruise Control, Emergency communication system: OnStar and Chevrolet connected services capable, Exterior Parking Camera Rear, LS Convenience Package, Power Electric Rack-Mounted Steering, Remote Vehicle Starter System, Steering Wheel Controls. 28/38 City/Highway MPG Included 2 Year Complimentary Basic Maintenance / In Business Over 90 years / Call 1-888-844-3454 For Details. %Off Offer includes price reduction below MSRP and Cash Allowance. On Select 2019 Chevrolet Vehicles. Not available with special finance, lease or other offers. Take new retail delivery by 04/30/19. GMF Down Payment Assistance. Cash usable only if financed through a supported or unsupported GMF contract. NOT Compatible with Standalone APR Program. Customer must qualify and finance with GM Financial. See participating dealer for details. %Off Offer includes price reduction below MSRP and Cash Allowance. On Select 2019 Chevrolet Vehicles. Not available with special finance, lease or other offers. Take new retail delivery by 04/30/19. GMF Down Payment Assistance. Cash usable only if financed through a supported or unsupported GMF contract. NOT Compatible with Standalone APR Program. Customer must qualify and finance with GM Financial. See participating dealer for details. The new Chevy Cruze proves that a car doesn’t have to break the bank in order to offer all the amenities that modern drivers crave. Available in both sedan and hatchback renditions, the compact Cruze boasts a variety of exciting tech features as well as remarkable fuel efficiency and advanced safety features. To fully understand the capabilities of the new Cruze, you’ll need to get behind the wheel Cox Chevrolet. Ready to learn more about the unique Cruze? The new Chevy Cruze for sale in Bradenton, FL is a great option for city and suburban drivers alike. 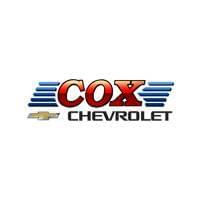 See your payments for your next Cruze and find a wide variety available at Cox Chevrolet. Want to learn more? Get a deep dive into the Chevy Cruze trim levels.